Three companies from the energy world were selected for special attention in this exposé of Renault’s vision. Powervault, with its revolution in home electricity storage; Jedlix, with its smart charging app; and WeDriveSolar, providing car-sharing with solar-generated energy for the new generation of electric vehicles. 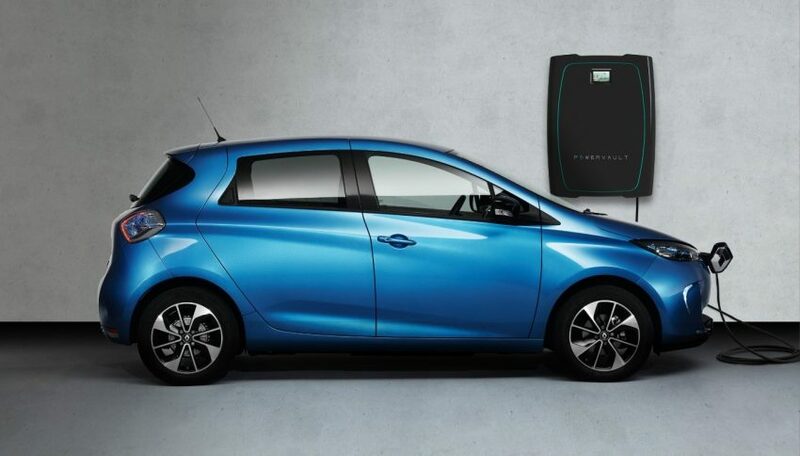 Powervault, with 2nd life batteries from electric vehicles, is at the heart of the new drive towards smart electricity management that makes the electric vehicle so much more than a car, according to Eric Feunteun, Renault’s EV Program Director. It makes possible an energy exchange within the home, providing energy for the vehicle at one time of day, energy for the home at another, and even energy for the grid, when neither home nor vehicle requires it. Smart energy management is part of the future, according to Eric Feunteun. Electric vehicles have the potential to make a real contribution to this dynamic future. Powervault took the opportunity presented by this high-profile event to unveil its own new product, a dramatic innovation in the use of second life batteries. These batteries are sourced from the electric vehicles Renault is producing, thus enhancing its vision for “sustainable mobility for all, today and tomorrow.” The new product architecture will also integrate the Powervault system into the smart home, and into the smart grid.